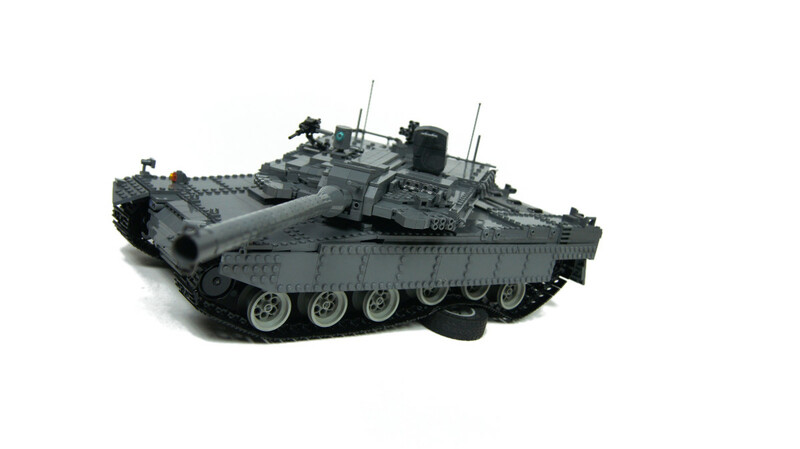 Model of world’s most modern tank. 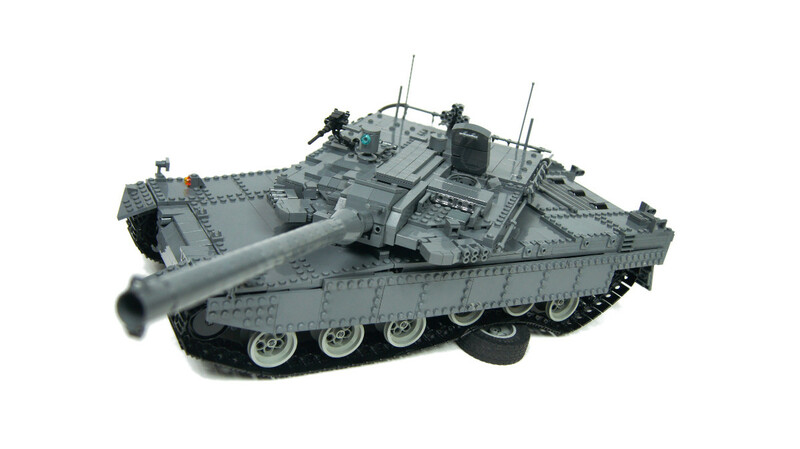 Features a suspension system with adjustable ground clearance, rotating turret, elevated main gun, firing mechanism and lights. 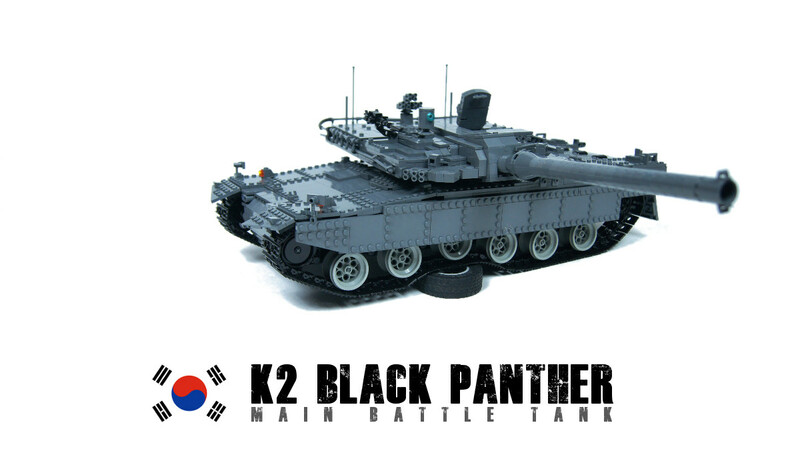 The K2 Black Panther tank is the successor of South Korea’s first indigenous main battle tank, the K1. 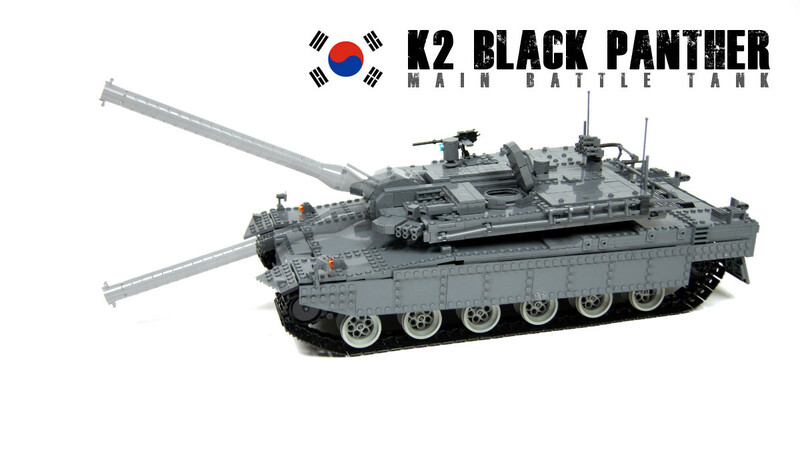 While the K1, which has entered service in 1987 is still a fairly decent tank by today’s standards, The K2 was designed as a cutting edge of the modern military technology. 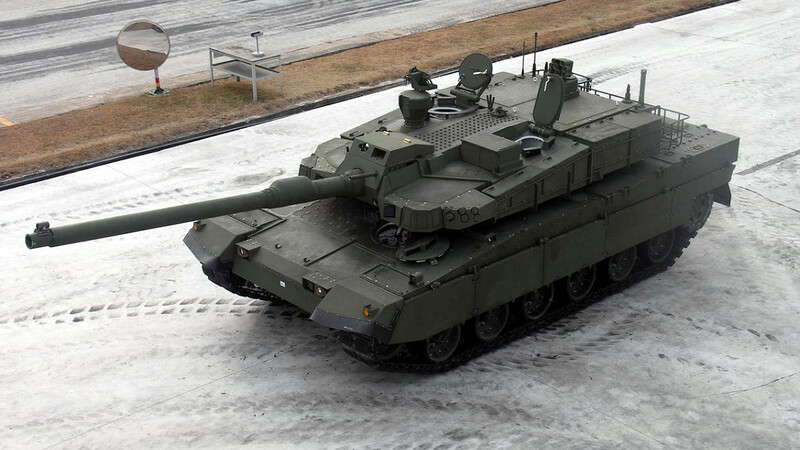 It is the world’s second most expensive tank, right after the French Leclerc tank, and the most advanced one, especially if we take into account its extensive development program, and the fact that it has not yet officially entered service. 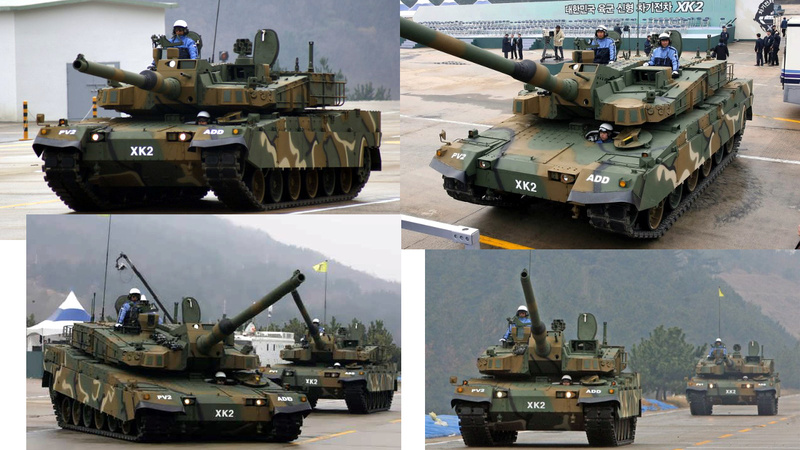 The Turkish Altay tank, which is currently under development and is widely considered a very modern design is heavily based on K2, and is being created as a direct result of a technology transfer from South Korea. It is, however, less advanced and considerably cheaper. 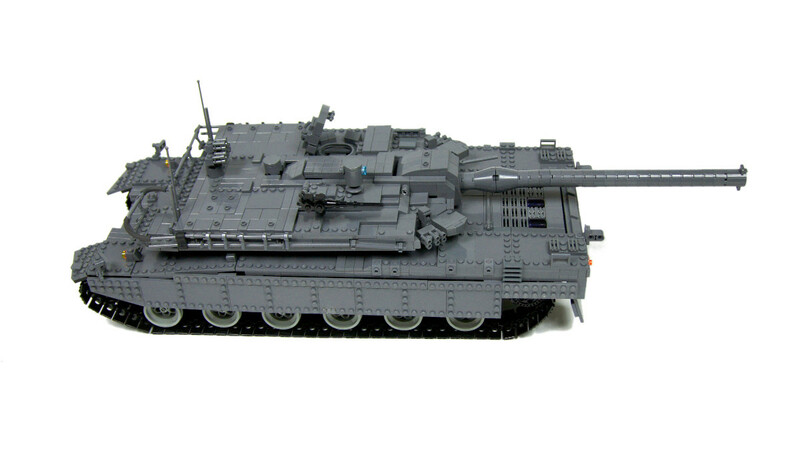 120 mm/L55 Rheinmetall main gun, identical as in the latest Leopard version. 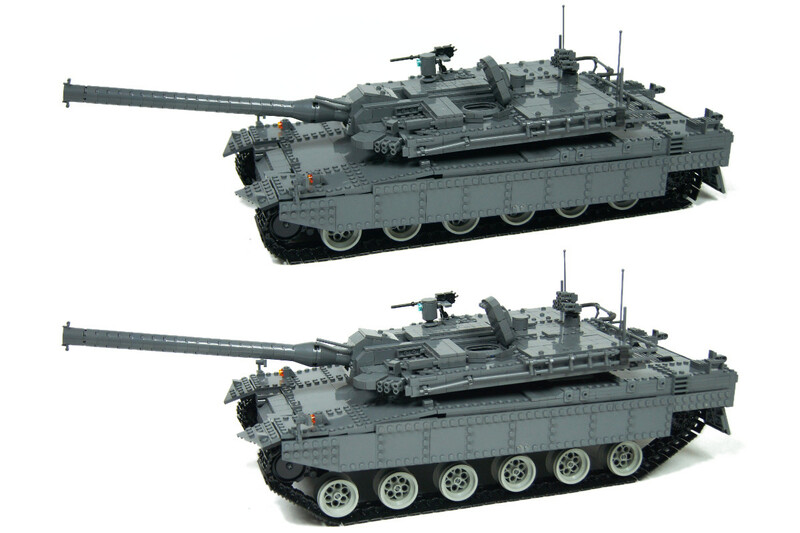 K2 is the only tank in the world that can be refitted with a 140 mm main gun with minimum modifications. fully active suspension, with each road wheel controlled independently. 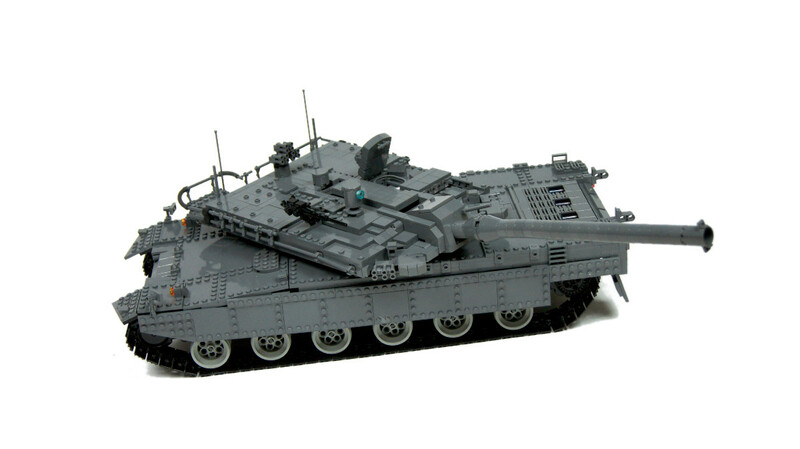 This enables the whole tank to “sit”, “stand up”, “kneel” and tilt in any direction. advanced autoloader, similar to Leclerc’s one, capable of loading a new round in 1-2 seconds. 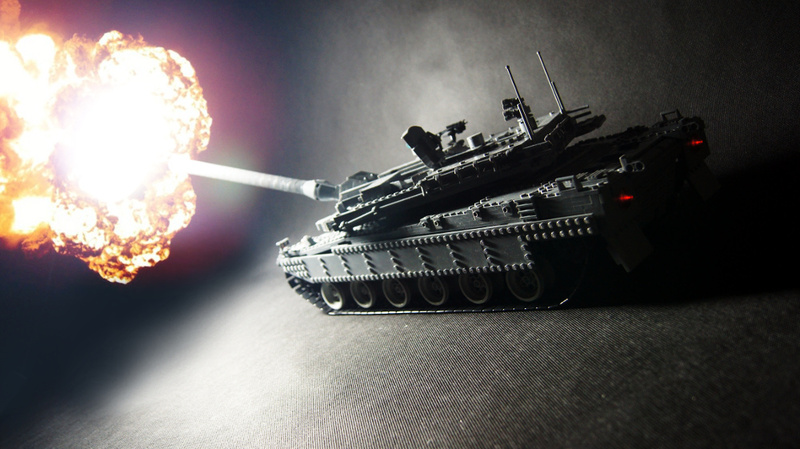 Under optimal conditions, the K2 can fire new round every 3 seconds. 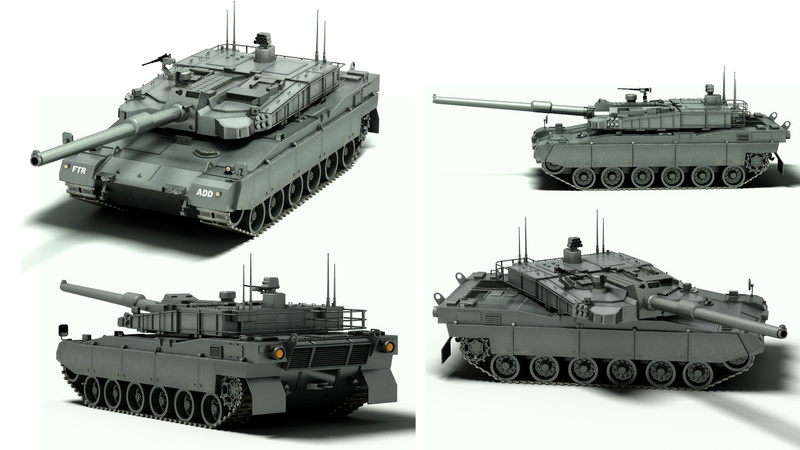 complex electronic systems that allow a single crew member to control the entire armament, enable tracking of multiple targets at distance up to 10 km using the radar system present on the frontal arc of the turret, including comparing targets with other friendly vehicles using data link, to prevent redundant target engagements. 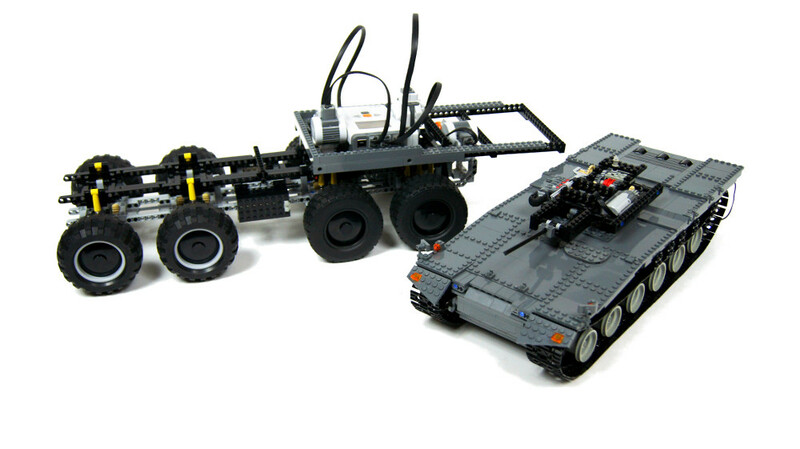 fire control system capable of delaying a shot if the chassis encounters an obstacle as the trigger is pulled. The system automatically fires the round as soon as the main gun is realigned. primary munition: unique tungsten penetrator rounds, with a core that is capable of self-sharpening rather than deforming during armor penetration. secondary munition: unique type of a fire-and-forget rounds, which is fired from the main gun at a mortar-like trajectory. Upon reaching designated target area, it deploys a parachute and seeks for targets autonomously, or via remote control by the K2 crew member. Once target is acquired, the round launches a penetrator round which hits the target from above. 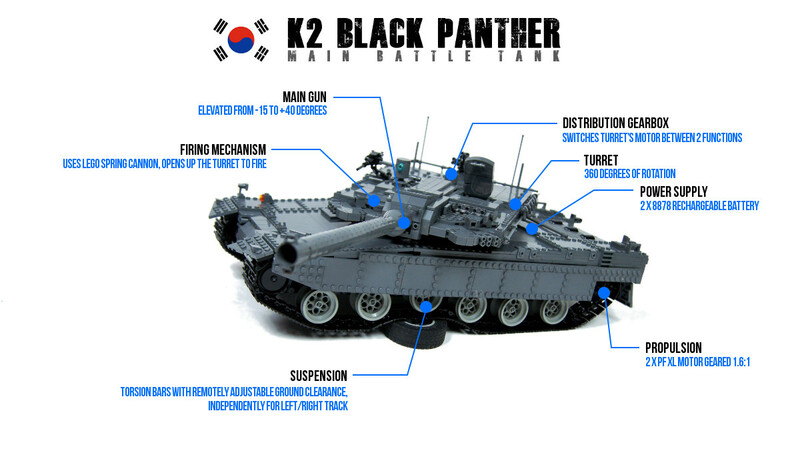 That makes the K2 the world’s first tank capable of indirect fire, especially useful against hidden targets and allowing the tank itself to remain hidden. 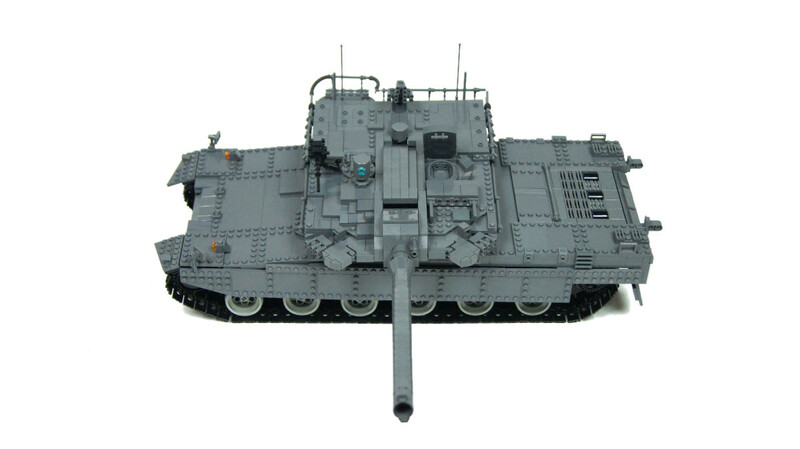 the K2’s composite armor is capable to withstand a direct hit from a 120mm/L55 gun, that is the heaviest gun used in modern tanks. 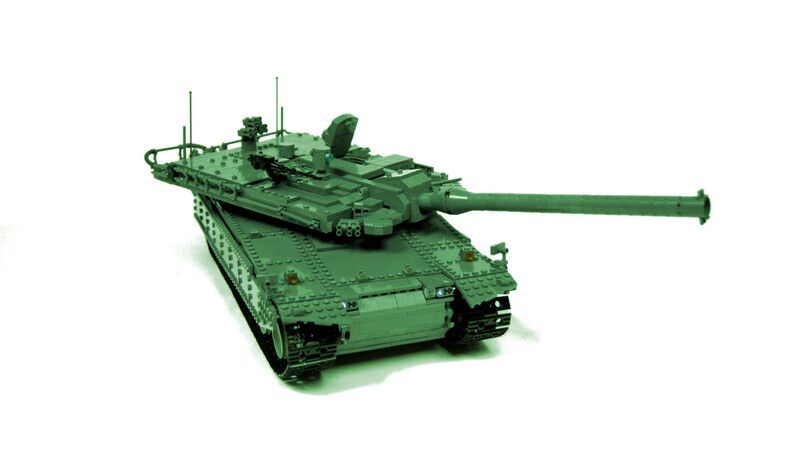 The tank also has a “soft armor” in form of electronics capable of detecting radar and laser beams in 360 degrees range, with the ability to warn the crew, establish direction of the threat, use radar jamming and special types of smoke screens and grenades that disrupt laser emissions and block optical, thermal and radar signatures. 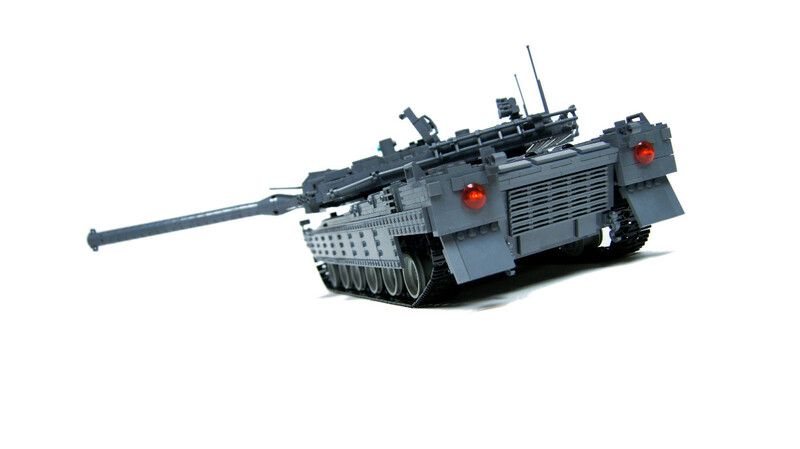 the tank is propelled by a 1,500 HP engine, which gives it excellent mobility, similar to Leclerc’s. It can also cross rivers up to 5 meters deep using a snorkel, and it is combat-ready as soon as it resurfaces. installing a high-resolution terrain scanning system with a range of 50 meters in any direction, so that the suspension can be pre-adjusted on the fly. 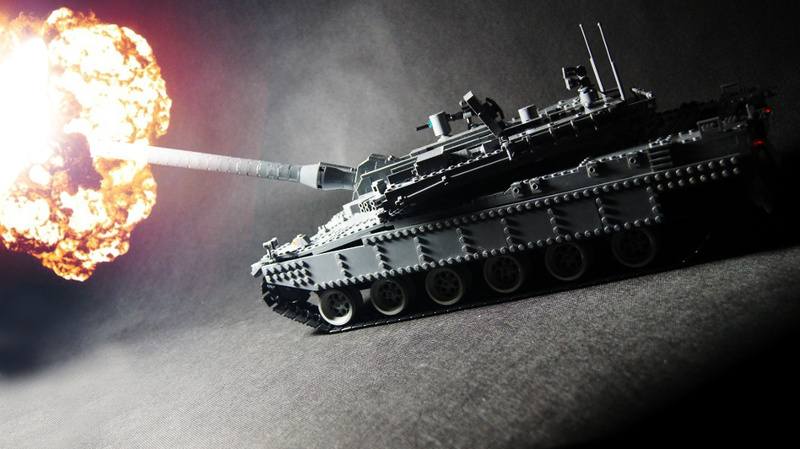 replacing the conventional gun with an Electrothermal-chemical gun. ETC guns are a project somewhat similar to railguns, but with an electrically triggered plasma cartidges. 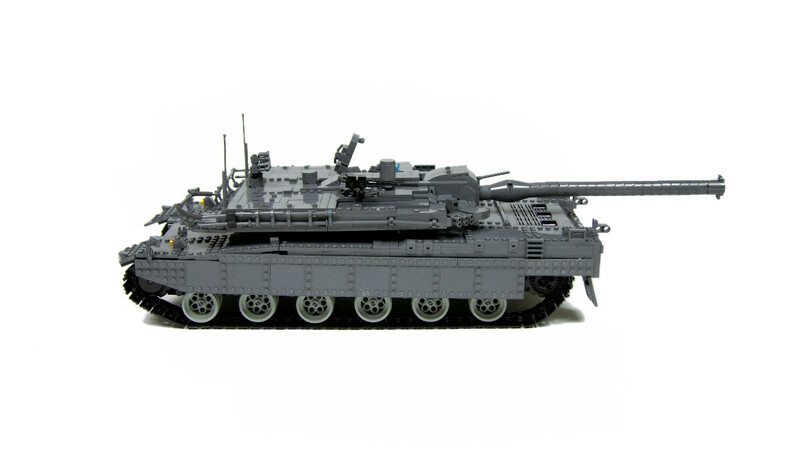 They offer significantly more firepower and payload over that of conventional guns. 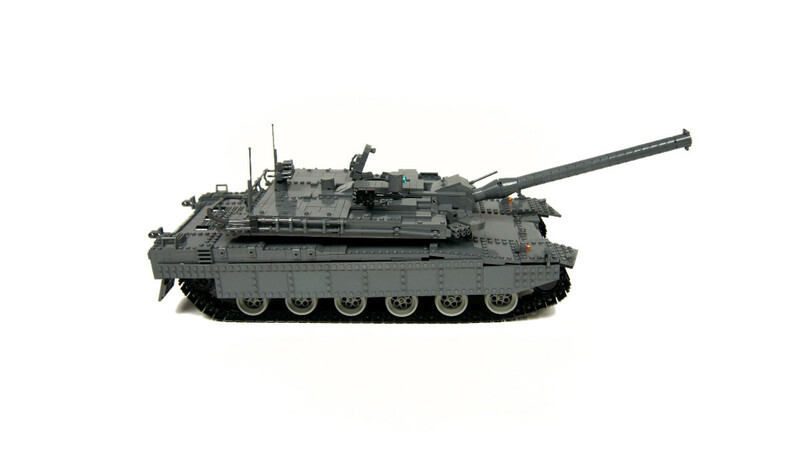 The model itself was inevitably a successor of a Leopard 2A4 model I’ve built back in 2010. 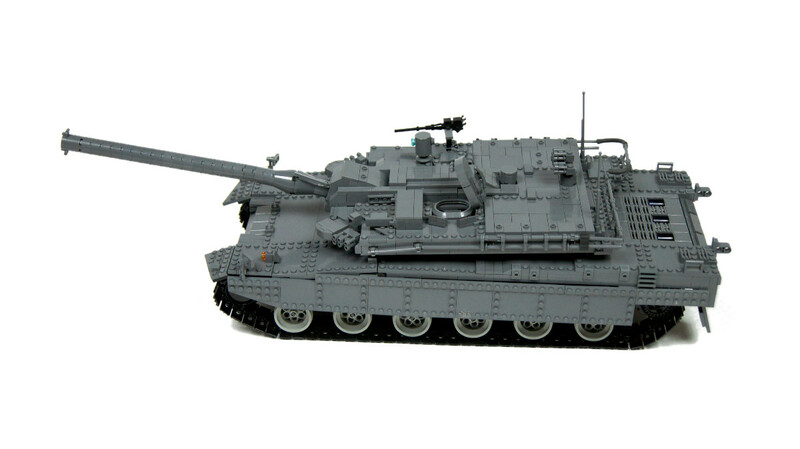 Leopard was my first tank using torsion bars suspension, and it occurred to me back then that the bars can be rotated, thus allowing to adjust the suspension’s ground clearance. 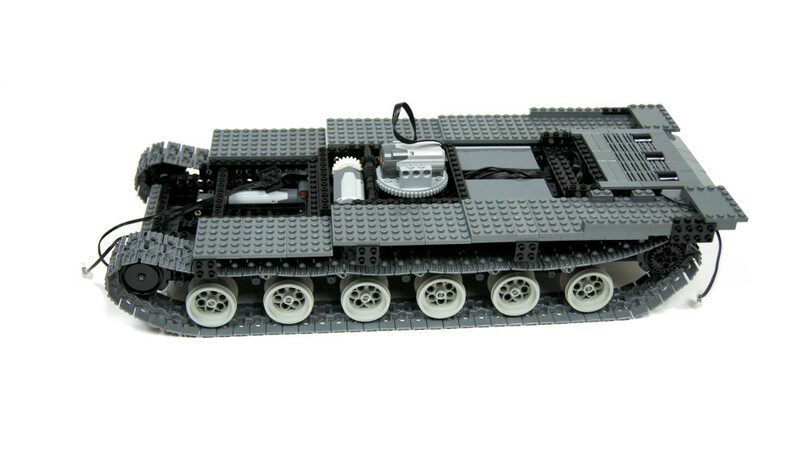 I have chosen to build K2 with this feature, as it is the world’s only tank with an adjustable ground clearance, but I have also decided to take my time, on assumption that the longer I wait, the more different the new model will be from the Leopard, and the more new LEGO pieces will become available, and with them – new possibilities. 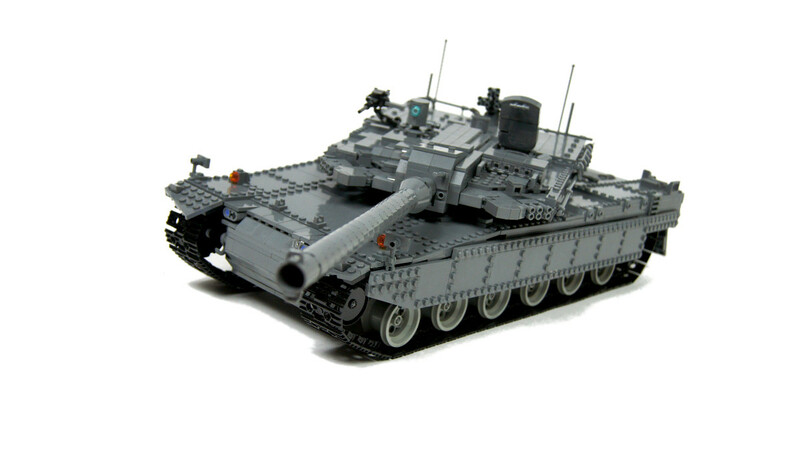 The K2 model does, indeed, make use of small linear actuators and L motors, both unavailable in 2010. The model was suspended on 12 road wheels, each with 8L axle acting as a torsion bar. The inner ends of the bars were attached to a beam that connected ends of all the bars together, and which was moved back and forth by L motor with a large linear actuator. This system was independently doubled for left and right track, enabling the model to “sit”, “stand up” and to tilt left/right. Tilting forwards/backwards was not possible though. Adjusting ground clearance should in theory require changes to the circumferences of the tracks, and I have been thinking about a mechanism that would move front sprocket wheels back and forth to prevent the tracks from becoming loose. It has, however, proved needless, as enclosing the tracks within the hull properly made sure they don’t come off even when loose. The model was perfectly capable of driving and turning even in the lowest position, and the suspension remained functional at all times. It drove a little slower when in the lowest position though, as the drive sprocket wheels slipped on the loose tracks occasionally. The propulsion system consisted of two independent XL motors, each for one track, geared 1.6:1. The drivetrain was simple, efficient, and the model was a real pleasure to drive, with plenty of power and excellent suspension. I did not recall any other tank model that would be so enjoyable to drive. The power supply consisted of two 8878 rechargeable batteries, placed on their sides across the hull, so that their fronts faced the tracks. It was somewhat inconvenient, because the access to the batteries wasn’t easy, but it allowed to keep the hull low. 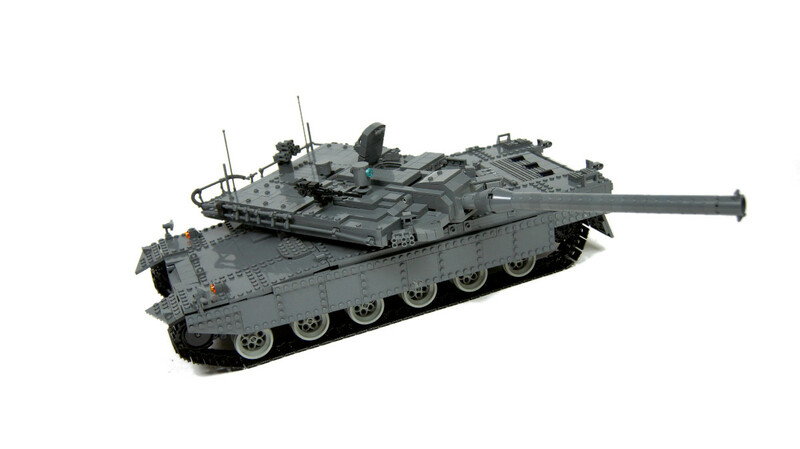 The hull was very densely packed, with the suspension and ground clearance adjustment system, with two L motors, each with a large linear actuator, with two batteries, three IR receivers, two XL motors with transmission and one Medium motor rotating the turret. The turret’s turntable was also installed within the hull, so that there would be more space available inside the turret. – Load the Anti-Cat round! 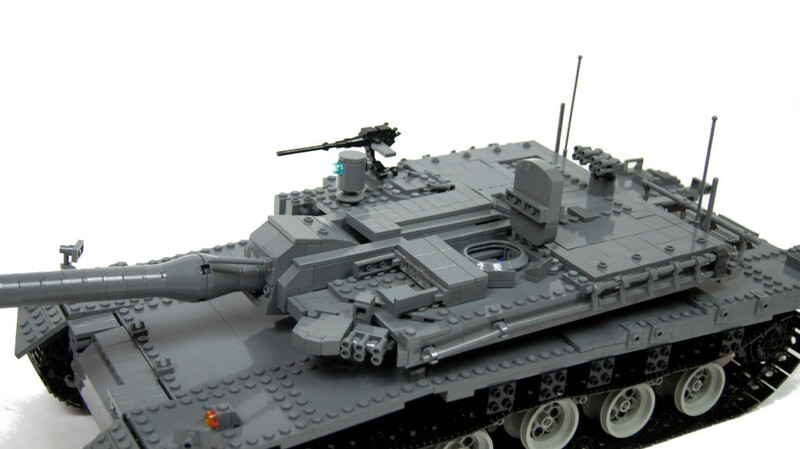 The turret itself was a great challenge both mechanically and aesthetically. It had to be very low, so I installed one Medium motor inside it, together with a distribution gearbox that switched the motor between two functions. The gearbox was operated manually with a round brick on top of the tower, and the two functions were: elevating the main gun and firing. 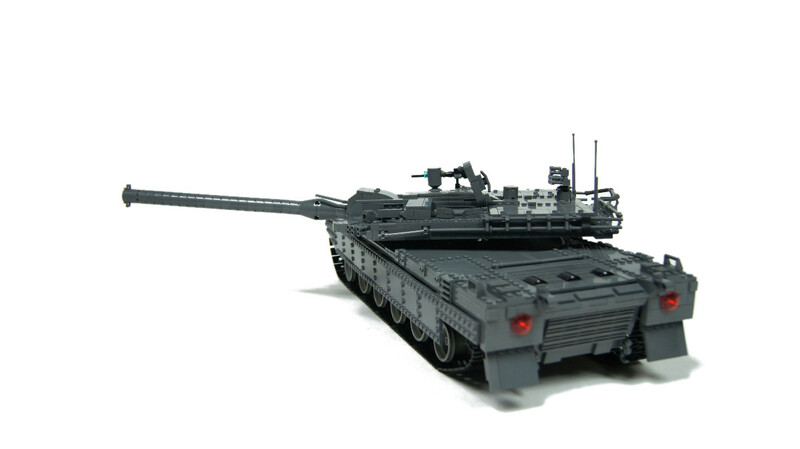 The main gun elevation’s mechanism used a small linear actuator and a complex linkage to make it fit inside a limited space. It worked well, but the exceptionally large weight and length of the main gun’s barrel proved to generate a lot of backlash in it. As a result, the barrel was quite wobbly while driving. 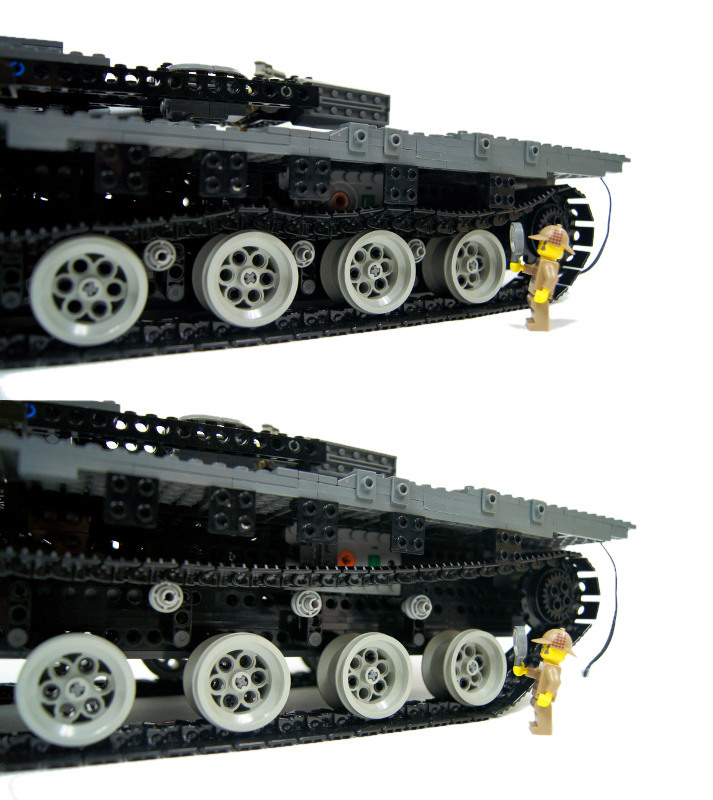 The firing mechanism was relatively simple and used a Lego spring-loaded cannon, which was moved forth by another small linear actuator. During the movement, the moving part of the cannon would push open part of the front of the turret, and once opened, the cannon’s trigger would encounter a stopper, releasing the projectile. The mechanism required manual reloading after each shot and its range was limited, but it worked flawlessly and fit inside a very limited space. 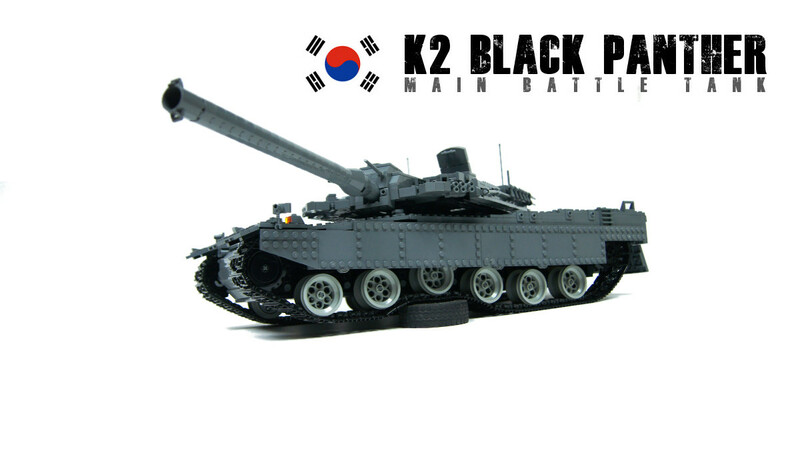 On the aesthetic side, the problem with the K2 was that it’s a very new tank. It’s supposed to enter service in May 2014, and the information on it is severely limited. There are no blueprints, for instance, and most of the photos show development versions rather than the final production version. Eventually, I have decided to rely on a series of renders that became available shortly before I started to build the model. 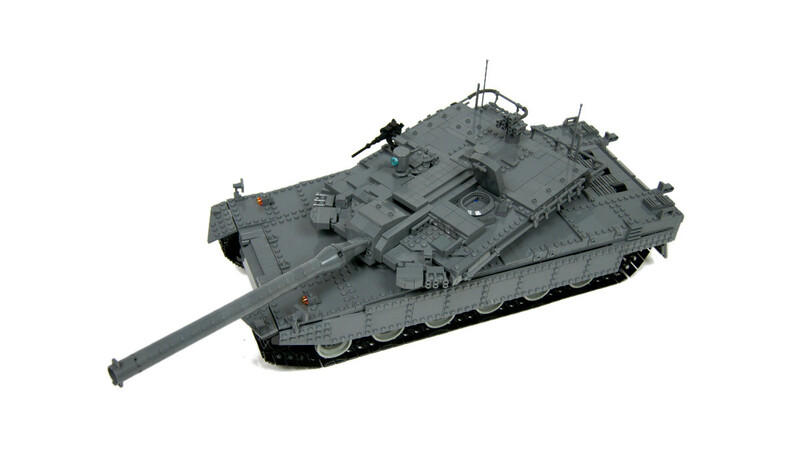 The model was not perfect aesthetically – the road wheels were somewhat too small, for instance, and there was a large gap between the turret and the hull (but there is also some gap in the real tank). 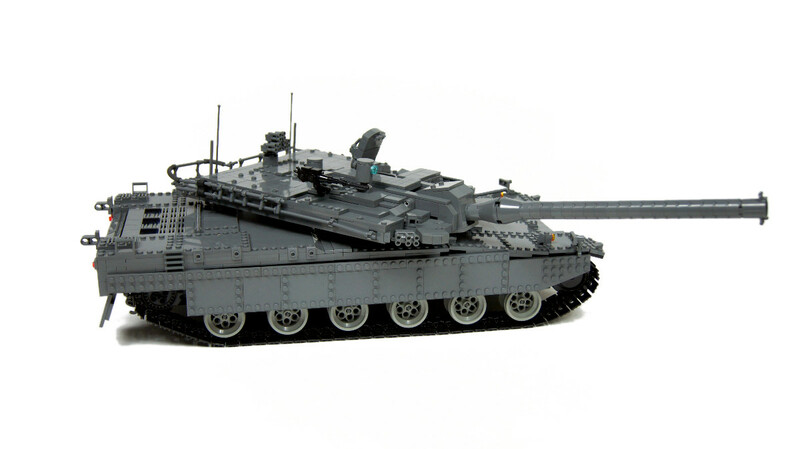 My goal was to show how very flat the real tank is, as most of my tank models appear too tall to me. 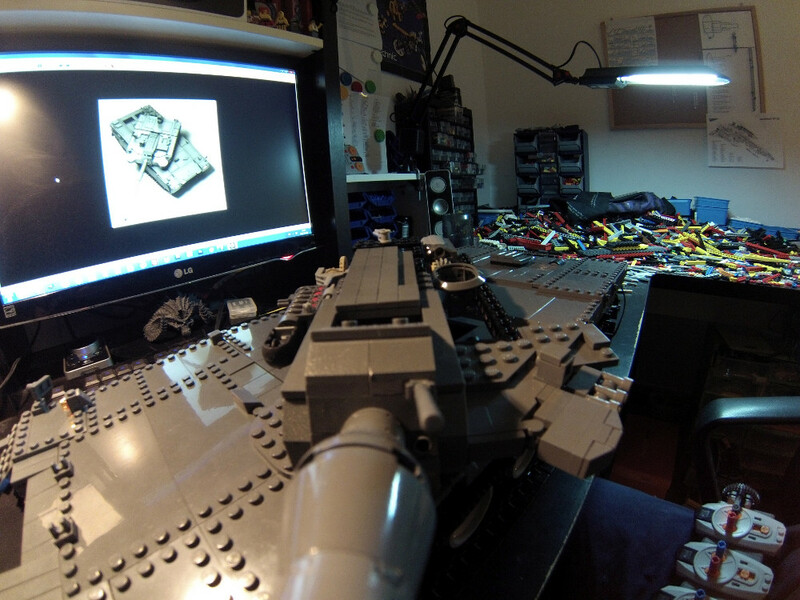 I might have overdone this, especially with the turret, which was extremely flat in my model. What wheel type is the one inside the tracks attached to the suspension? I’ve looked on brick link and the closest thing I could find to it is the 20×30 Balloon wheel rim. As with almost all my models, the instructions don’t exist, sorry. 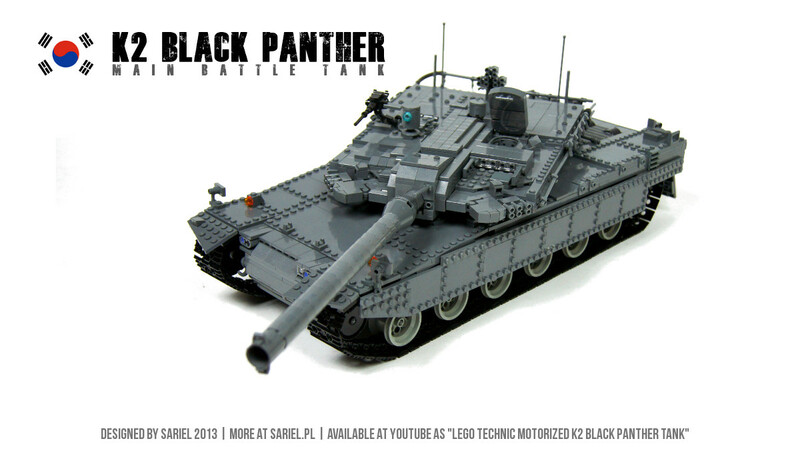 my son will build the K2 Black Panther in Lego. We need the instructions for the vehicle. Can I get the instruction from you? how many of those tracks did you use? There are no more pictures. Amazing! Very very great Job! Small LA should do fine because the gun travel arc is very small (-10/+20 deg at most). Thank you very much! In my case it is quite hard, I think, because space is very limited and I don’t have a micromotor. 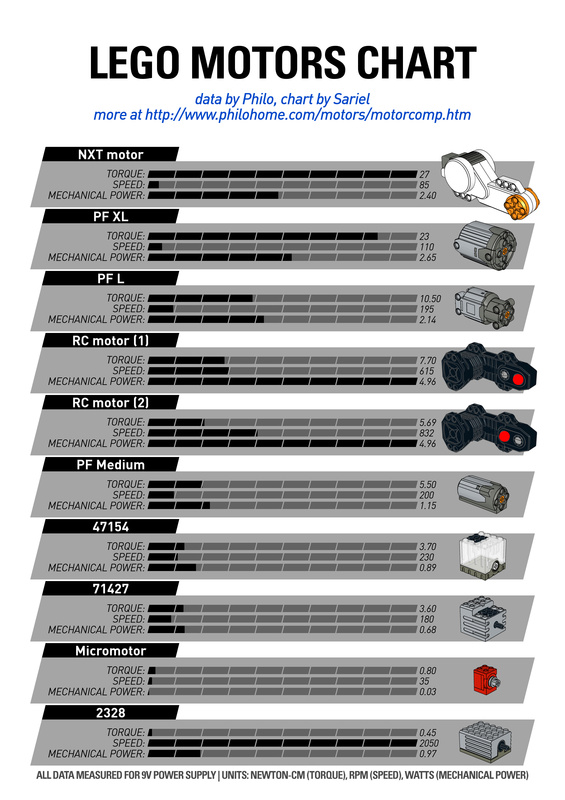 I think I’ll use a worm gear with 8-tooth gear – or maybe the small LA? Usually a worm gear or a small LA is enough. 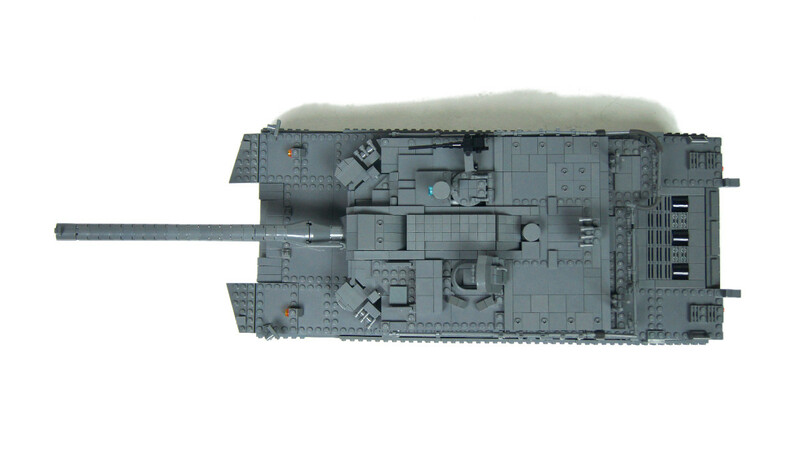 You just need to rotate the axle the main gun is sitting on, how hard can it be? could you please give a short descrition of the main gun’s elevation system used in most of your tanks? I don’t manage to build one myself that’s small enough and works properly.T(h)anks a lot in advance! Could you provide a few more screenshots of the suspension? I want to try and replicate this system, it’s very cool. how many caterpillars use for this tank? How did you do that the back trunk is tilted? Those wheels you used for inside the track are quite hard to find. Especialy in big numbers. Is there another you can use for this that also fits well? 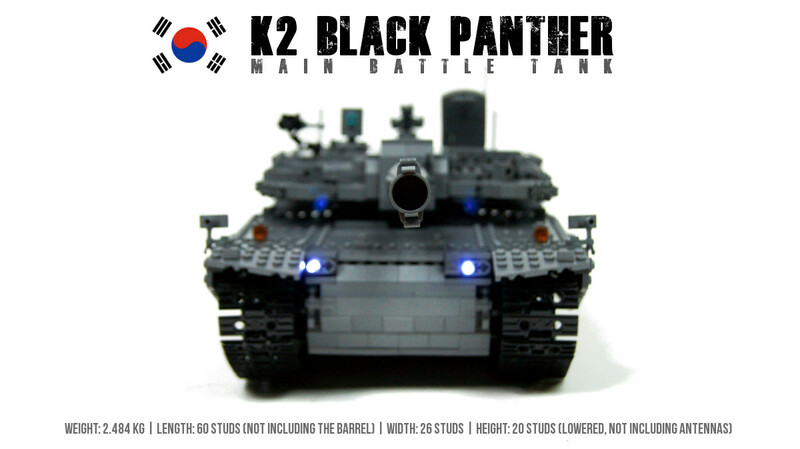 Can you provide full instructions on how to build the K-2 panther? Is a Korean inhabiting in Korea. 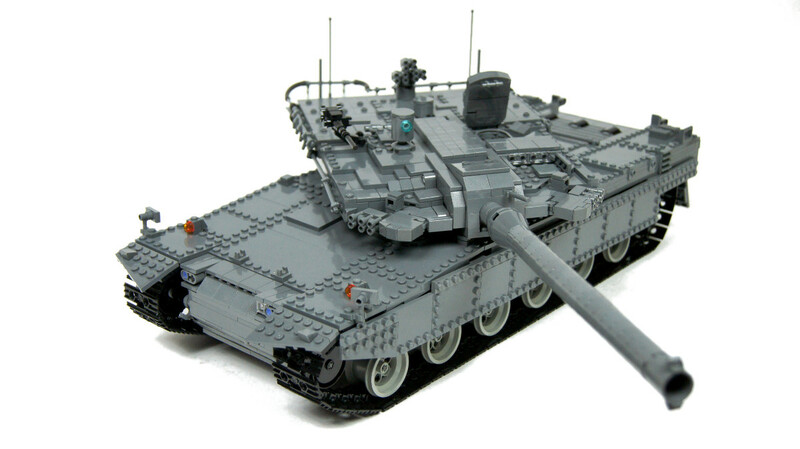 Is honored that conduct next generation borrowing in advance of Republic of Korea as LEGO. Cracking tank. 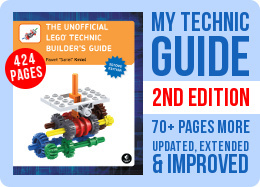 Do you ever get parts from lego.com or just use Bricklink? I like that you increased mobility of your tank. 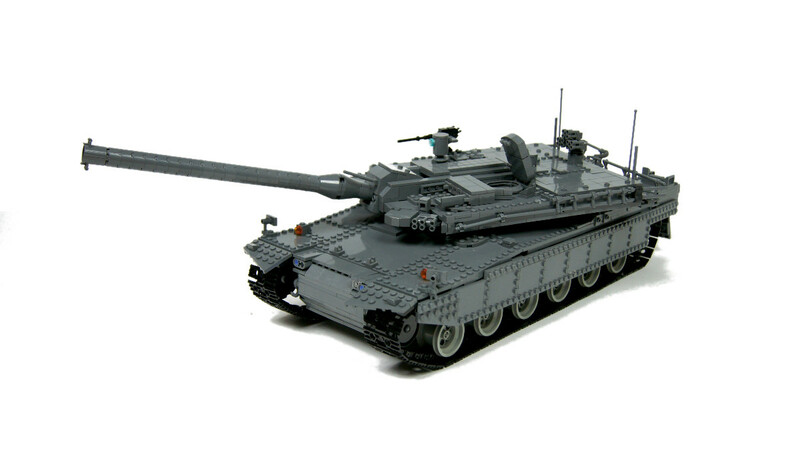 Compared to Leo 2 A4 this tank seems more agile although it’s powered by only 2 XL motors. I also agree that the tank seems too low. 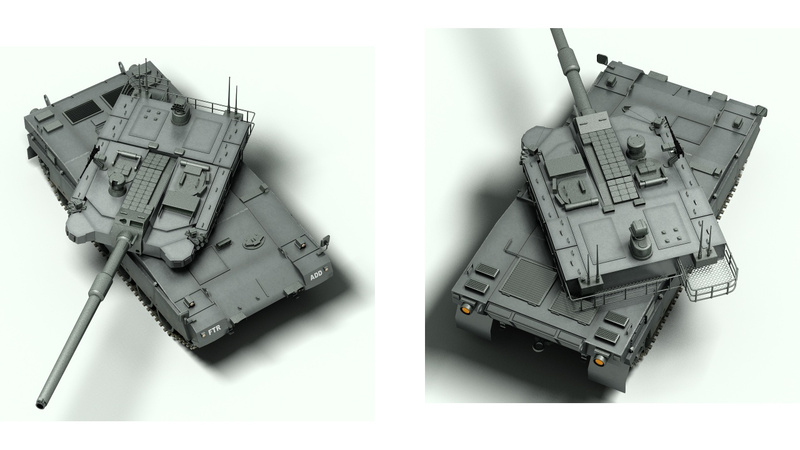 I noticed that you placed return rollers for the tracks too low (for your Leo 2 A4 also) thus lowering the side hull too much. I think K2 as Leo 2 has similar hull arrangement and Leo’s tracks run back to driving sprocket near hull with higher return roller placement as seen here. Inside, at the rear. Nothing tricky. How did you mount the XL motors? How did you upload the instructions, or how can I upload ldd instructions onto word press free. How did you make the scroll box ? I made the scroll box myself. Can you use the free Word press blog to make a scroll box for pics ? If yes, how do you do it ? Thanks. You can see suspension on the photos, you can see it in the video, and you can read how it works. That should be more than enough. 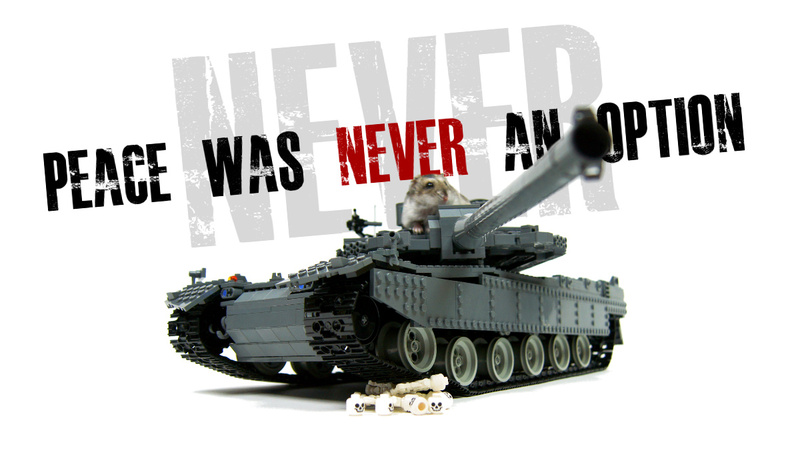 Best lego tank ever, even better then the leopard 2A4. Could you please make basic instructions of the adjustable suspension? Nope, but it was its trailer at the beginning. You’re absolutely right. Truly surprysing. Extremely impressive build! Great job!